GE Power offers a wide range of power generation, supply and water process technologies to solve problems at a local level. It works in several areas of the energy industry, including renewable resources such as wind and solar, biogas and alternative fuels, as well as coal, oil, natural gas and nuclear power. It also develops advanced technologies to help solve some of the world’s most complex problems related to water availability and quality. Headquartered in Schenectady, New York, GE Power is GE’s largest industrial company, with over $27 billion in revenues in 2014 and approximately 38,000 employees serving customers in over 125 countries. 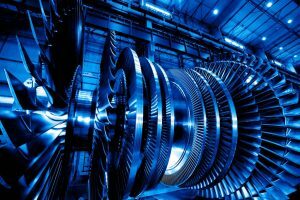 Due to the changes in the energy sector, caused by competition with renewables, combined cycle and conventional steam cycle plants are subject to more frequent shutdowns than before, with a high increase in maintenance and operating costs. Our teams at FISAIR have helped GE-ALSTOM provide quick and easy solutions to reduce these breakdowns with state-of-the-art technology.